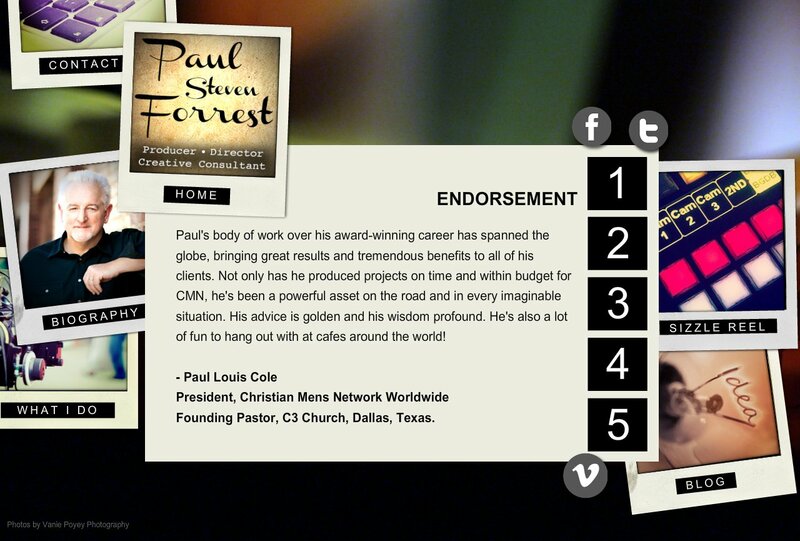 Paul's body of work over his award-winning career has spanned the globe, bringing great results and tremendous benefits to all of his clients. Not only has he produced projects on time and within budget for CMN, he's been a powerful asset on the road and in every imaginable situation. His advice is golden and his wisdom profound. He's also a lot of fun to hang out with at cafes around the world! Founding Pastor, C3 Church, Dallas, Texas.